After working as a Personal Banker with Chase Bank for several years, Mr. Burk obtained his EMT-Basic in 2009 and began working in the Emergency Department. He attended Paramedic School shortly after at the Maricopa Community College District and received his EMT-Paramedic and Associate's Degree. He currently works at Professional Medical Transport (PMT) Ambulance and is also an instructor for PMT, Rural Metro and Phoenix College. 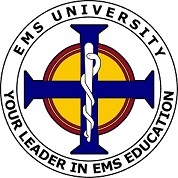 In addition to working for these programs, he also has been instructing for EMS University, LLC since 2013 and serves as a Lead EMS Instructor. In his spare time, he is volunteers with both the Phoenix and Peoria Fire Departments in Crisis Response and Community Assistance.